In 1996, during BFA studies, Ho participated in an exchange and off-campus study program at the Jingdezhen Ceramics Institute in Jingxi Province, China. For the last 15 years, Ho, traveled and to Jingdezhen numerous time. 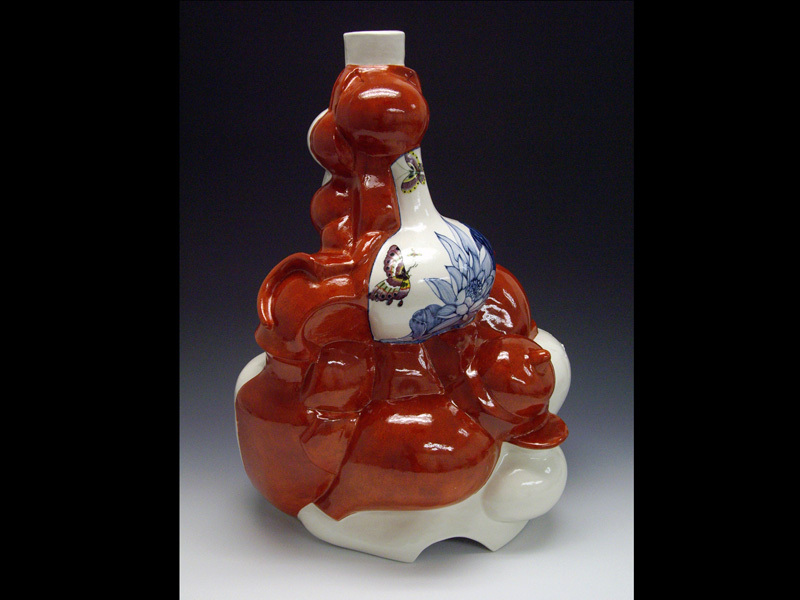 Living and learning at the heart of the porcelain city impacted her creative process both in technique and in philosophy. Traditional and contemporary aesthetics, cultural differences, economics development and east/west education systems influence her work. Being professor, artist, culture ambassador, interpreter, between East and West led her to contemplate linguistic and visual language in relationship to sign, symbol and iconography. Ho continues explore her visual language to express her observation and emotional response on being Hong Kong Chinese living in North America experiencing the displacement of the self. As the world moves toward greater globalization, technology leads people of many nationalities and cultures to evolve into an unknown. Ho collision course of cross-cultural experience speaks to universal phenomena. 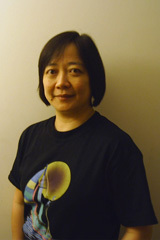 For more information on Sinying Ho please click here.